2015 was another great year for e-commerce sellers with sales continuing to increase year-on-year. It’s not all been great news for sellers though, with an increasing number of Amazon accounts being hit with the dreaded Amazon account suspension. Banned is the worst scenario of the three. Basically, you’re out of there. Your appeal has failed more than once and Amazon will no longer read your emails. Ah well, l’ll just open another account…Not so fast—you’ll also be informed that it’s against Amazon’s terms and conditions for you to open another seller account. Darn! Amazon feel your performance is taking a dive. They want to operate a competitive marketplace that values good customer service. I thought we were friends Amazon. Sellers are then expected to create a plan of action based on the information contained within the notification. I’ll be fine. I’m a big seller. Amazon won’t suspend me. MYTH! Amazon suspend big sellers too. If l’m suspended twice, l’m out! Another MYTH! In business and in life, we all learn from our experiences and mistakes. Now is the time to act to prevent your account being suspended. As they say, prevention is better than the cure. If Amazon send you a policy warning or your performance metrics take a dip. Fix it and tell Amazon what you’re doing to rectify the situation. Seller tip #1: Ask Amazon to put an annotation on your account to state that the ASIN wasn’t counterfeit. Check your Amazon reports on a regular basis. Seller tip #2: Download the Amazon Seller App (Android, Apple) to help you respond to messages quicker. Ensure you label new products as “new” and used products as “used”. Examine your items carefully to confirm you choose the correct condition category. If you’re selling used items, check closely to ensure there is no missing parts. Seller tip #3: Read your listings to check for any potential flags. Talking of product descriptions. Make sure yours are both accurate and honest. Seller tip #4: FBA sellers should close and archive old listings. Merchant Fulfilled sellers should delete them. 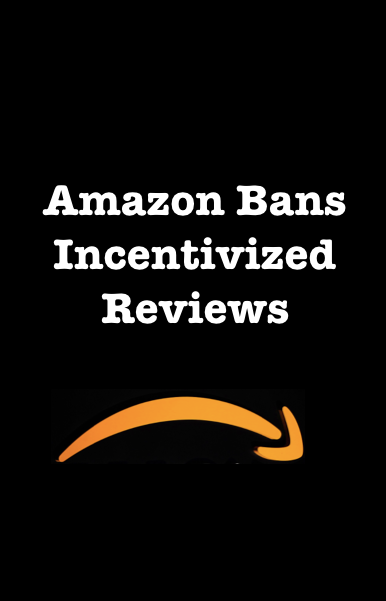 Think, if Amazon cancel certain ASINs and suspend your seller account, can you provide the Product Quality team with evidence that you sell legitimate products? Seller tip #5: Don’t sell counterfeit goods. To increase your chances of a successful appeal, your plan of action should be thorough and based on your internal account findings. Remember, if the investigators ask for more information, your appeal will be delayed…and time is money. For example, if you’re a seller who has been suspended for shipping reasons, you may wish to include that you’re moving to FBA to solve the issue. Then comes the wait. If you’re suspended and get reinstated, learn from the experience and take measures to ensure it doesn’t happen again. RepricerExpress is the Amazon repricing solution that’s super easy to set-up and use. Sell more and keep your listings competitive 24/7 without constant attention. RepricerExpress offers Amazon FBA and Featured Sellers the flexibility to compete for spots in the Buy Box and More Buying Choices Box. Our super-fast repricing allows all sellers to aim for higher positions in the Offer Listings pages, ensuring more buyers see your products.